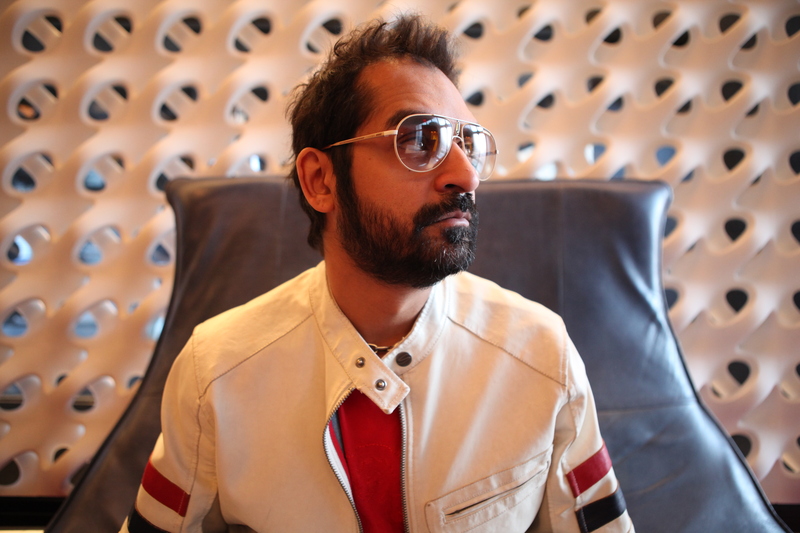 Described by Billboard Magazine as a “visionary composer and producer”, Karsh Kale is one of global music’s brightest stars. In the past 12 years as a solo recording artist, producer, composer, live performer and DJ, Karsh has set the world of electronic fusion on fire and has helped to create a genre of new music and culture that continues to influence an entire generation. His body of work has been cause for fans and critics alike to claim Kale as a pioneer and a trail blazer, not only opening doors for his own career but for an entire scene to emerge in the world of electronica and fusion music. 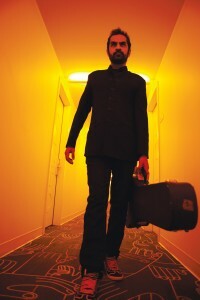 Karsh Kale has also developed a reputation as a genre bending collaborator and a world renowned tabla player and musician, exploring the worlds of electronica, Indian classical music, rock, jazz fusion and hip hop which has led him to work with some of the most renowned artists from around the globe. Kale continues to reinvent his ever-evolving sound and has established himself as one of the world’s most sought after fusion artists. 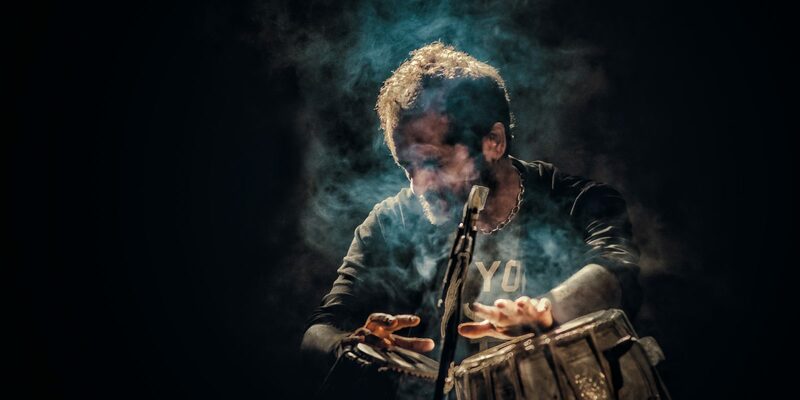 Born in West Bromwich England and raised in New York by immigrant parents from India, Kale showed his interest in music first as a drummer and eventually as a tabla player (paired classical percussion instrument from north India). Kale grew up steeped in classical music and film music from India; largely due to his father’s own passion for sound. It was Karsh’s father who also introduced him to other styles of music as well such as that of the Beatles and the Rolling Stones. This became a doorway for Kale to begin his own exploration further into the worlds of rock, jazz and eventually, electronica. Bands like Led Zeppelin, Rush, the Police and Pink Floyd along with early hip hop and pop music became some of his earliest and most profound influences. Being a predominantly self-taught musician, Kale was able to break rules at an early age as he began experimenting with different instruments and styles. 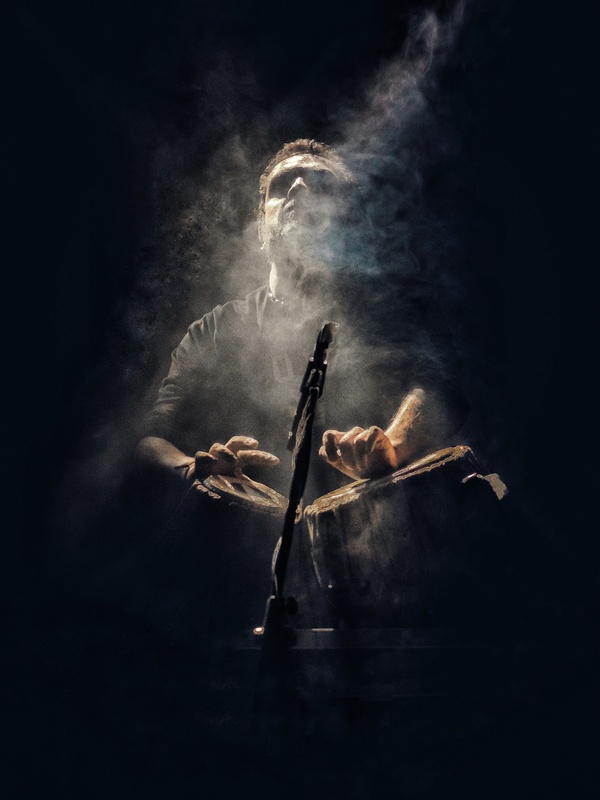 His own ingenuity and experimental nature helped Kale in developing his “Electric Tabla”. In 2002 Kale was invited to join other pioneering creators of new electronic instruments at the prestigious Lincoln Center where he joined the likes of Robert Moog and Moceanworker to perform the very first all electronic version of Terry Rileys “in C”. Though he has no true guru (teacher) or gharana (school of learning) that he belongs to , Kale , through shear talent has found himself working with the very best from the genre’s in which influenced his sound, from Pt Ravi Shankar to Sting to Zakir Hussain, Herbie Hancock and Bill Laswell to only name a few. 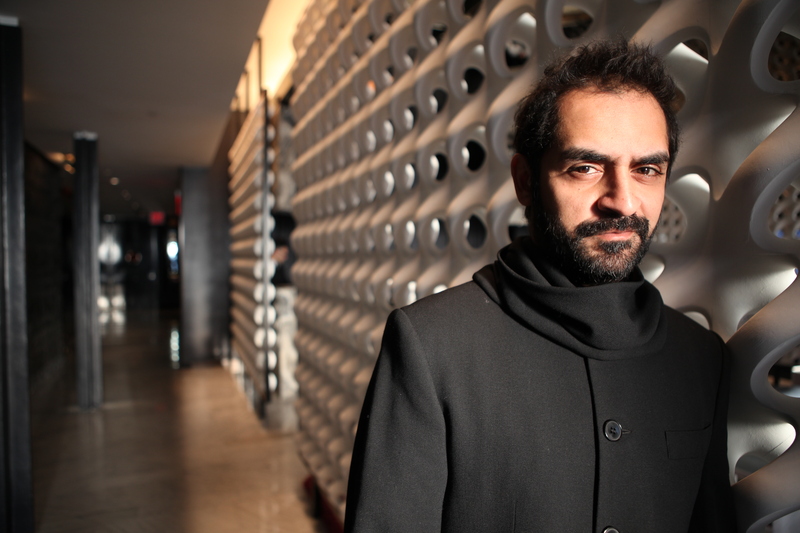 Karsh Kale began his career in music while a student at NYU (New York University) where he studied music production and performance. 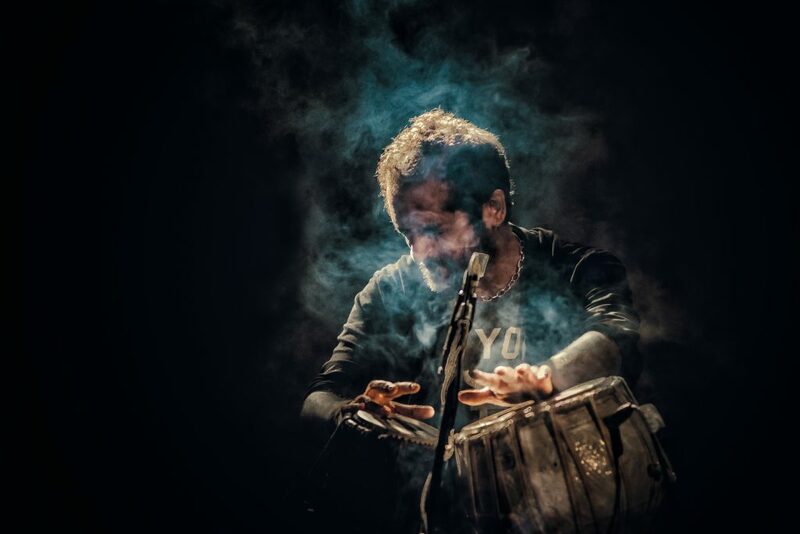 He began playing with local bands and was able to showcase his original style as a tabla player and drummer, which led to many recording projects as a session musician. In the mid nineties Kale found himself collaborating and recording with artist such as DJ Spooky, Herbie Hancock, Chaka Khan, Amel Larouix, Bill Laswell and more. His studio savvy and original style keep him in demand to this day as he has recently done sessions for artists such as Lenny Kravitz, Yoko Ono as well as his partners in crime the Midival Punditz. Kale has, as of date, recorded on over 50 releases worldwide as a session musician. 2003 saw the release of Kale’s now legendary “Liberation” album. 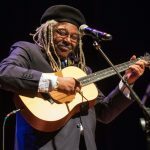 On Liberation Kale collaborated with Zakir Hussain and Bill Laswell on a track called Milan (named after his daughter) which has now become one of Kale’s most requested works. The album also boasted collaborations with the Madras Cinematik Orchestra, ace bollywood composer Salim Merchant, Kirk Douglass (guitarist of the Roots) as well as his usual cast of collaborators including singer Vishal Vaid and the Midival Punditz. Karsh Kale has over the years developed the reputation as a world class live performer and has toured the world with his own bands “Realize Live” , “Timeline” and “Tabla Beat Science”. 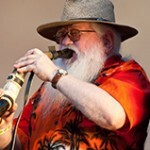 As well as , as a guest performer with bands like “Material” “Sound Tribe Sector Nine” “Madman OF God” and the “Universal Robot Band” which in turn has allowed Kale to share the stage with the likes of jazz legends Pharaoh Sanders, Henry Threadgill , Amina Claudine Meyers and Vijay Iyer as well as Rock legends Buckethead (Guns and Roses/Praxis), Serge Tankian (System of a Down) , Will Calhoun (Living Colour) and electronica stalwarts Paul Oakenfold, BT , and Grand Mixer DXT. 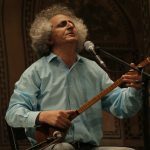 Kale also has performed as part of a project in collaboration with Ustad Shujaat Khan (son of sitar legend Vilayat Khan) in which they recently performed to a sold out audience at Lincoln Centers Alice Tully Hall. Karsh has also performed at venues worldwide ,ranging from the now infamous CBGB’s and Wetlands to the Hollywood Bowl , the United Nations, The Disney Theatre in LA and the Museum of Natural History in NY. Kale has also performed at many festivals around the globe including, the Montreaux Jazz Festival, Bonnaroo, Glastonbury, Burning Man, Bumbershoot, the Sydney Fest and Central Parks Summerstage to name a few. In 2007 Kale was invited by Anoushka Shankar to join her in a performance at the 2007 Grammy Awards making them the very first ever-Indian performance at the Grammy’s. 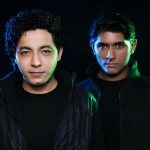 Kale has also as of late been performing in collaboration with the Midival Punditz creating the genre’s first super group performing the music from both bands. Karsh Kale has emerged as a force of nature in the electronica scene not only as a live performer and recording artist but as a DJ as well. He created Kollektiv, a national crew of DJs’ producers, musicians and artists showcasing cutting edge underground music through Kollektiv events across the country and the world. Karsh Kale is also known for his remixing skills as he not only reworks music for the dancfloor but rather for the world stage as well. Karsh has created remixes for artists such as Paula Cole, DJ Spooky, The Cure, Sting, Midival Punditz, Yoko Ono, Anne Rani, Janaka Selktah just to name a few and is featured on many compilations worldwide. Kale has lent his skills as a composer and producer for films and television alike. As film composer Kale has created music for crossover films such as “Chutney Popcorn”, “Ocean Of Pearls” and “Indian Cowboy”. His music has also appeared in Bollywood hit films like “ Fashion”, and recently “Luck” and “Kambakht Ishq” . 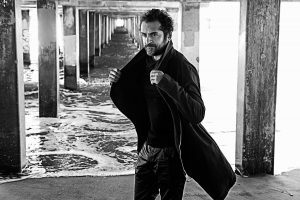 Karsh Kale recently collaborated with the Midival Punditz on the rescoring of the 1973 classic Bruce Lee Film “Enter The Dragon” which they have been presenting live in amny prestigious venues around the world . Kale continues to collaborate with the Pundits on future film projects including Ajay Naidu’s “Ashes” . Kale’s music has also been featured on TV such as the HBO series “Real Time with Bill Maher” and “True Blood”. As of late Kale has been collaborating on new projects for both film and solo release . Kale is also collaborating with the likes of hip-hop legend Afrika Bambata and the 90’s Rock gods Live. Karsh continues to share his musical vision with an ever- growing legion of listeners who continue to hold his music as paramount within the global music scene. Karsh Kale Featured on MTV Indies Blue Frog Diaries MTV’s Blue Frog Diaries chronicles the best in modern, indie Indian music happening today. Click here to check out the recent episode featuring Karsh Kale. Suave, modern and unmistakably India. A visionary composer and producer. Karsh Kale is a weaver. His music tapestry includes multiple threads of sounds, samples, and melodic riffs he’s collated from his years of exploration in Western classical, Hindustani classical, rock and electronic and stitches together these disparate influences. A day before the festival kicks off, Kale opens up about the event, Bollywood and the music scene in India. A tabla scientist that is one part Zakir and one part John Bonham. Karsh Kale has established himself as a spokesman for a generation of music that incorporates electronica, dance grooves and classical Indian sound.